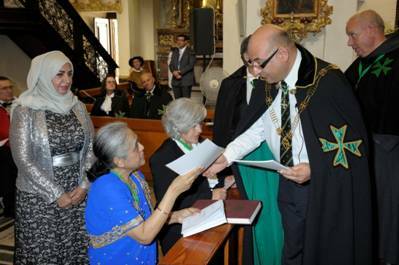 During the Malta investiture held in October 2013, a delegation of postulants from the United Arab Emirates were joyfully welcomed for this bi-annual gathering of Lazarites in the island of Malta, which also happens to be the seat of the Office of the Grand Chancellery of the Order. 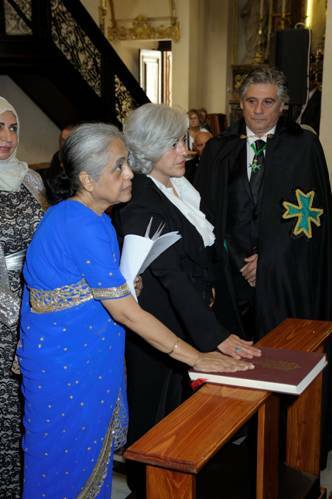 During this investiture, the Supreme Grand Priory authorised the consecration of the Delegation of the United Arab Emirates within the Order of Saint Lazarus and appointed Conseour Sheila George as the Head of the UAE Delegation of the Order. 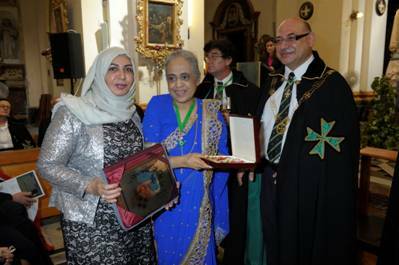 Consoeur Sheila George is indeed a holy woman who has committed herself to spread the word of God and to aid and assist in every possible Hospitaller manner the poor and the needy. The Head of the UAE delegation, accompanied by other members from the United Arab Emirates, visited the newly opened Chev. 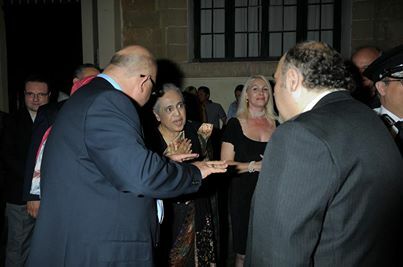 Vincenzo Bugeja Residence of the Saint Lazarus Foundation and donated funds for the welfare of the Order's members with special needs which are taken care of within the Foundation.